Before I go into discussion regarding the above, I wish to provide another example coming from a different angle, which may assist the reader, who is preparing for retirement. Several years ago I was part of our Parish Council when a new rector was appointed to our church. In the beginning, he was very conscious of not making to many changes too soon. At one of his first Parish Council Meeting, when our rector was expressing his views that he did not want to make too many changes the church he was now in charge of. My suggestion and advice to our minister was that he was still fairly new in his position and still in his honeymoon period. Therefore he should look at the whole church’s operation with new eyes because after a few months he will get used to ways things operation, which will then be familiar to him and he may not make changes, he could have made. I believe this applies to starting your retirement. In the beginning, most things are new to you and you have time to have a close at all the changes that have now happened. 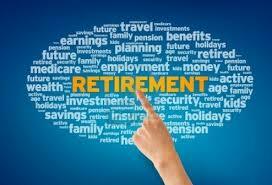 Obviously, if you have properly planned what you intend to do in your retirement, it will assist a lot. However, there may some things that you have not thought about or planned for. A good example is a position when a person retired without making any plans for their years in retirement. The first few months are great, as each day he sees each day in retirement as a holiday. However, as time goes by he starts to get bored and really has nothing to do and his honeymoon period is over. As a result of him not planning his future, he finds himself in a difficult position of not knowing what he does with all the extra time on his hands. Before I retired I took the advice of one of my seniors who retired before me. On my retirement I went away with my wife for a long weekend, to have a complete break to come back to a brand new situation. Although on the Tuesday I started a brand new job in a different environment as a consultant to assist small businesses. I have always taken a keen interest in small business, being employed by a large corporate concern all my working life. At this stage of my life, I was not too sure what I wanted to do. Although I feel that I had prepared fairly well in respect of the financial side, I was not too sure what I wanted to do with my time in retirement. I am not advocating that you should continue working, but make sure what you occupy yourself is something you have a passion for or would like to try out something new. In my research on the subject of The Honeymoon Period, it is vital to prepare fully for this very important initial part of retirement.